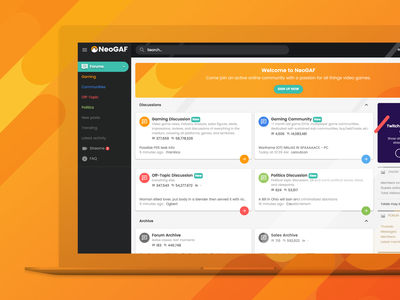 A long-standing forum in the video game world, NeoGAF has evolved over the years into one of the biggest communities for video game enthusiasts and developers since 2006. Boasting over 128 million posts, NeoGAF wanted to continue their momentum with a modern forum design. With a huge community, delivering the optimal forum experience with our UI.X Pro package was a must. Combined with an unique brand motif and some slick animations, NeoGAF is one of our best XenForo 2 projects.